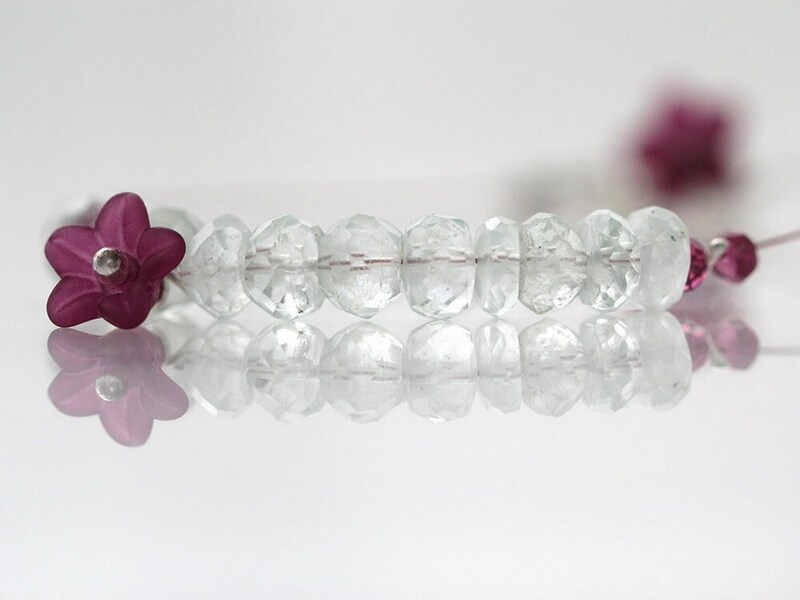 This beautiful, sparkling, handmade Aquamarine bracelet features finest quality Aquamarine stones and a sprinkling of gorgeous Garnet gemstones. 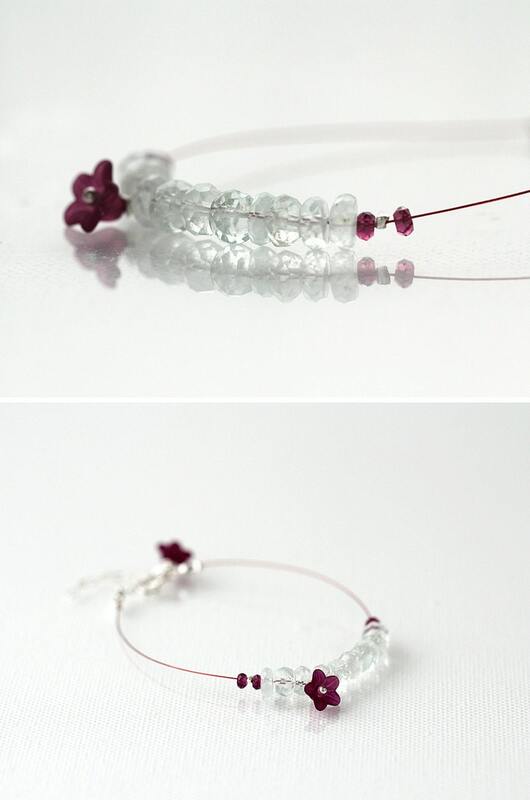 This is such a stunning color mix - pale icy aquamarine with just a whisper of frosty color, contrasting beautifully with the deep rich violet-plum. 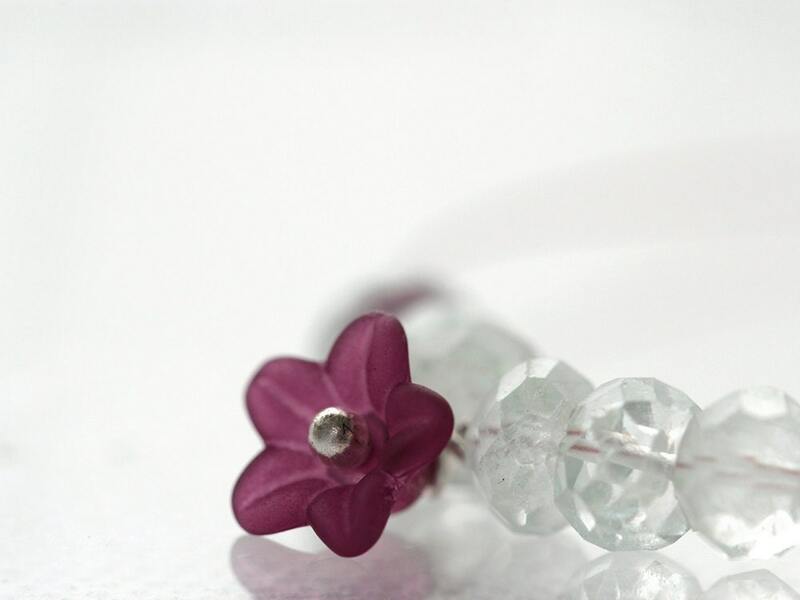 It also features a flower charm sitting pretty at the front, with Sterling silver accents and findings. Designed to dangle seductively over the back of the hand, and finished off with a dainty dangling flower at the catch - so it looks lovely front and back! Ideal for any special occasion or event, such as a wedding or a dinner party. Alternatively, wear with, for example, jeans or linen trousers with a peasant top for classic casual chic. ON SALE - last one. The exact bracelet in these photos is available and ready to ship! All items in my shop come beautifully boxed and gift-wrapped, and I can add a personalised message from you, inside a lovely matching card. Simply include all the relevant details and instructions when you check out. I can also send the item directly to your recipient, saving you some time and money! It's very important to me that you are happy with your Artique Boutique jewellery, so I offer a 100% money back guarantee if you buy something only to find that you're not happy with it! 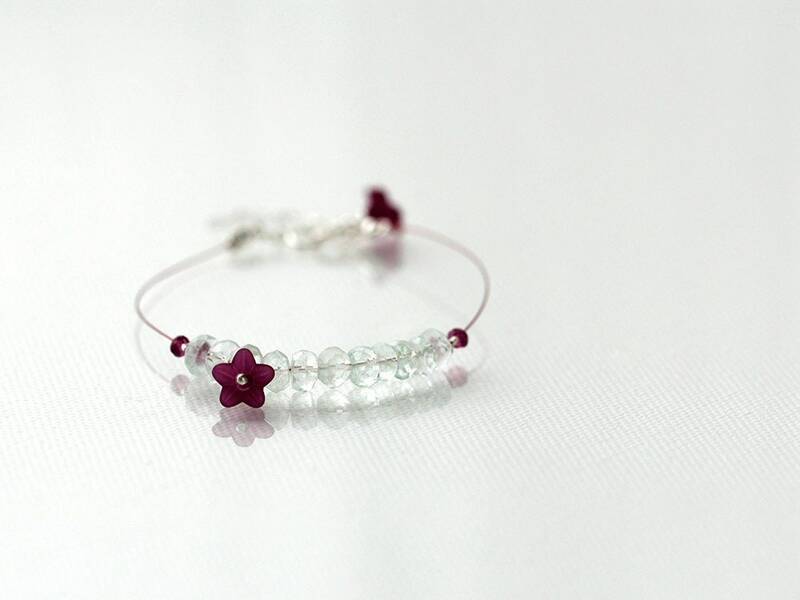 Una maravillosa pulsera con un gusto exquisito. Envio y seriedad de la tienda.